After meeting with Defense Minister Liberman, Yehuda Hayisraeli's family said that "We came with great hopes but our hopes were dashed". Family members of Yehuda Hayisraeli, the severely injured soldier from the 2014 Protective Edge IDF campaign in Gaza, were disappointed after their meeting with Defense Minister Liberman since the ministry refused to fund the extension of the family's house in Ofra. "We came to the meeting with great hopes but the bigger the hopes, the bigger the disappointment," said the family members. "The minister placed the responsibility on the Defense Ministry's Attorney and said that he had no way to find a solution even though he had given his personal assurance that a viable solution would be found. "We were amazed by his insensitivity, and we were sorry to hear that the security establishment knows how to conscript boys from beyond the Green Line but does not know how to take proper care of those who do not return safely" added Hayisraeli's relatives. 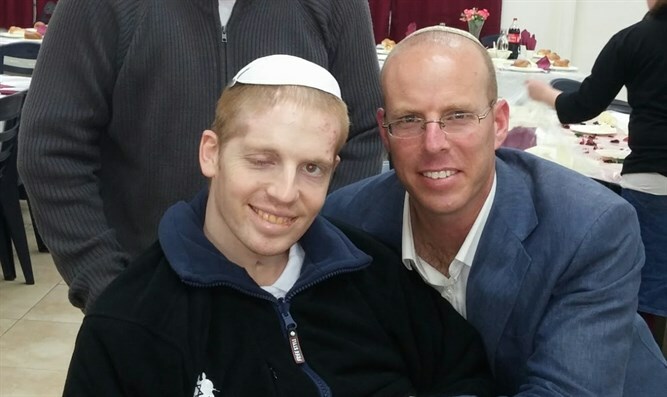 The head of the Knesset Security and Foreign Affairs committee, Avi Dichter (Likud) discussed last month the Defense Ministry's refusal to refurbish Hayisraeli's parents' house to suit the injured soldier's needs because the house does not have a permit in effect. "The answers we received from the Defense Ministry during the discussion were unsatisfactory, to say the least," said Dichter on radio channel Reshet Bet. "It sounded like the abandonment of a wounded soldier in the battlefield. They said to us 'There's nothing more to be done' but this shouldn't happen in this case. "Uncharacteristically, we presented our view to them as a unanimous vote in favor of refurbishment. We agreed to set another meeting for next month, and by then we expect to hear from the Defense Ministry regarding the way in which they plan to resolve this issue." added Dichter.